Babe Ruth baseball memorabilia and collectibles are popular items among sports enthusiasts and baseball fans. 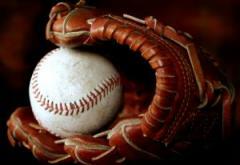 Often referred to as America's favorite pastime, baseball is among the most loved games in the country. Babe Ruth is one of the most recognized and respected legends of the sport, so it only makes sense that collectors seek out mementos of his storied career. Babe Ruth's career left an indelible mark on baseball history. During his career, he played for the Boston Red Sox from 1914 - 1919, the New York Yankees from 1920 - 1934, and the Boston Braves in 1935. Ruth is famous for many different things related to baseball. Even though many of the records he set have long since been broken, he is still recognized as one of the greatest hitters of all time. He will always be the first player to hit a home run in Yankee Stadium, which is still referred to today as the House the Ruth Built. 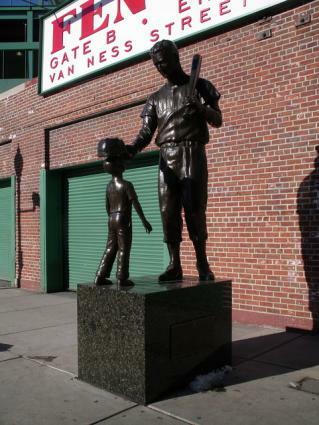 Ruth is also credited with the so-called "Curse of the Bambino" that kept the Red Sox out of the World Series record books for more than 40 years. Babe Ruth's name is synonymous with baseball history, and many items representing his career are displayed in museums around the country. The Babe Ruth Birthplace Museum is located in Baltimore, just a few blocks away from the current home stadium of the Baltimore Orioles, Camden Yards. Babe Ruth was elected to the National Baseball Hall of Fame in 1936. Fans can view an impressive collection of Babe Ruth photographs on the Hall of Fame's website, which also features a video biography. Visitors to the Cooperstown facility can tour the museum's Babe Ruth Room, which features many one-of-a-kind exhibits documenting his great career. The Atlanta Braves Museum & Hall of Fame at Turner Field in Atlanta documents the entire history of the franchise, starting with its beginnings in Boston. The museum includes an exhibit dedicated to Babe Ruth's days as a Boston Brave. While many of the valuable and historically significant mementos of the Bambino's storied career are owned by museums, there are many options for individuals who wish to honor Babe Ruth's memory with their own collections. Art.com carries a nice selection of posters, fine art prints, tin signs, and photographs of Babe Ruth. Grandstand Sports specializes in autographed memorabilia, and has an excellent inventory of items that will impress even the most serious of collectors. Leland's is the world's largest auction house specializing in sports memorabilia. Leland's has handled the sale of many significant pieces of baseball history, including the document detailing the sale of Babe Ruth to the Yankees, which sold for $99,000. Serious collectors can find amazing items here, assuming they check in regularly and are ready to bid when items become available. eBay can be an excellent resource for sports memorabilia collectibles. With listed items changing every day, sports enthusiasts can often find unique items to add to their collections. Creating a collection of Babe Ruth baseball memorabilia and collectibles is much more than just building an exhibit. In our society, every generation, from Little Leaguers to retirees, is somehow touched by the sport. It's important for those who enjoy playing or watching modern baseball understand where it came from and how it evolved throughout history. Sports enthusiasts who document the early heroes of baseball are doing their part to make sure the sport lives on, while at the same time paying homage to the great players who helped make it an American Institution.